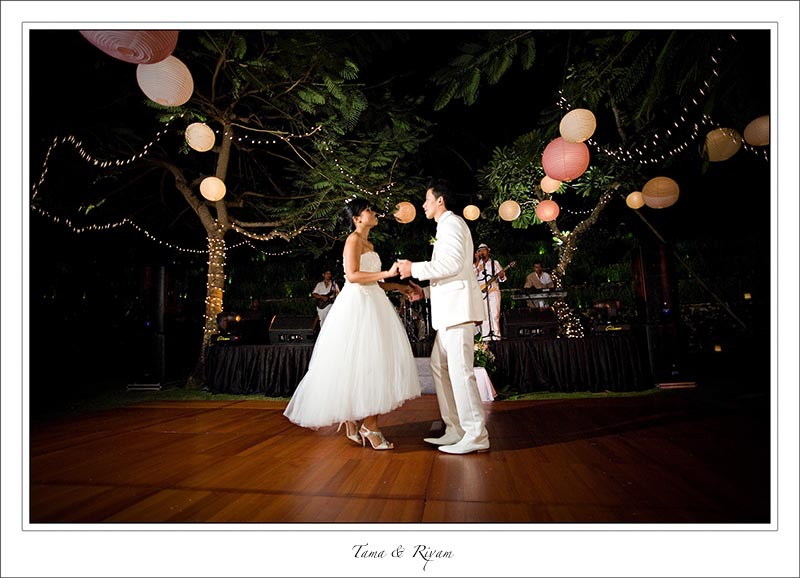 I have to admit that this wedding still ranks among my all time favorite Bali villa weddings. 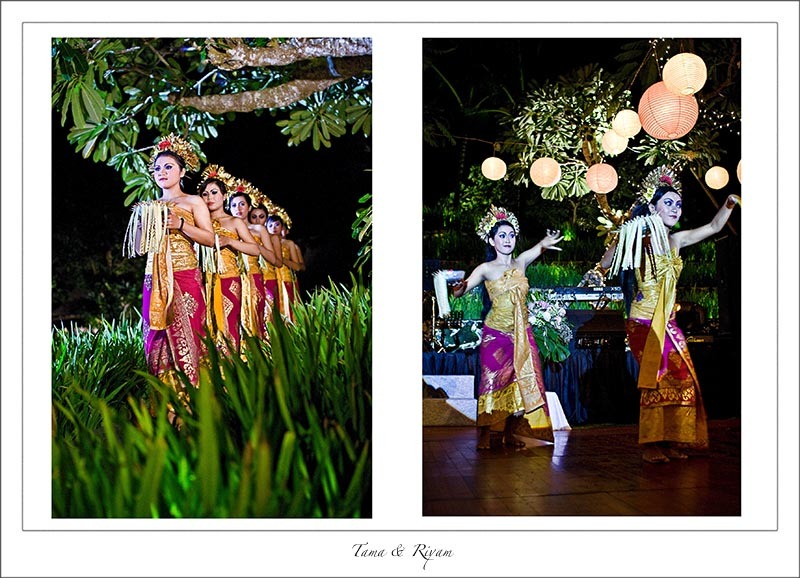 It’s hard to say why, but it was a wedding in one of Bali’s most stunning villas, beautifully decorated with perfect weather conditions and most importantly really, really nice people. 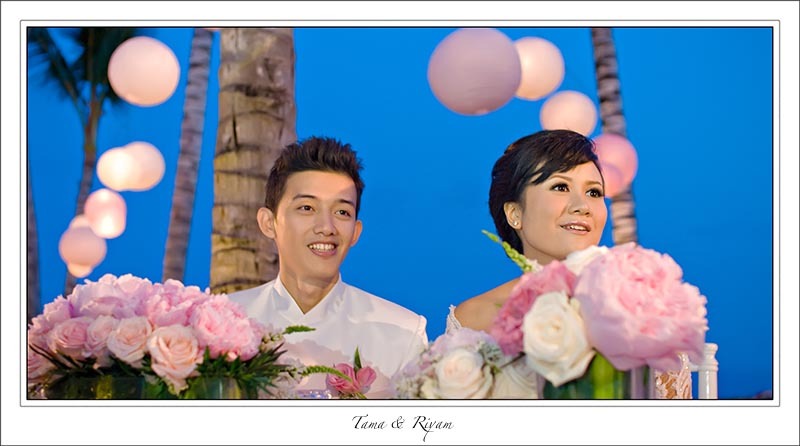 Riyam & Tama, who were acquainted to my wife through a common friend came to us about one year prior to the wedding with a blank sheet and asked for our advice on how to realize their wedding in Bali. We talked for a few hours and showed them many weddings from our archive. And on top of that we gave them valuable inputs with regard to how they could narrow down their choices. 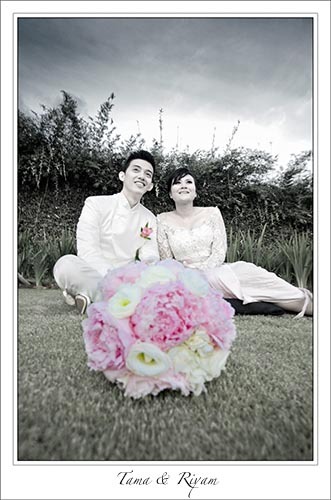 Being Indonesian they preferred their wedding planner to be local. So we recommended them Sinly, one of our partners and it was indeed a perfect match. Sinly and her team did a marvelous job on this wedding. One unique feature about this wedding was that it was a Muslim wedding. Despite Indonesia being the country with the largest Muslim population in the world Muslim weddings, especially grandiose ones are rather rare in Bali. The Islamic rites combined with long held Indonesian traditions provided for some extraordinary photos. Concluding the ceremony the couple paid respects to their parents which offered some very emotional photographs. Because this was a very large wedding and the couple requested to have a lot of group and family photographs to be taken we had only a short time for a phototour around the property with the couple. But within less than half an hour we could still capture some amazing shots as you can see in the following. The reception in the evening was also marvelous with beautifully decorated tables. In the following please find some impressions from the reception and the dinner. To see more and other photographs from this wedding please follow this link. 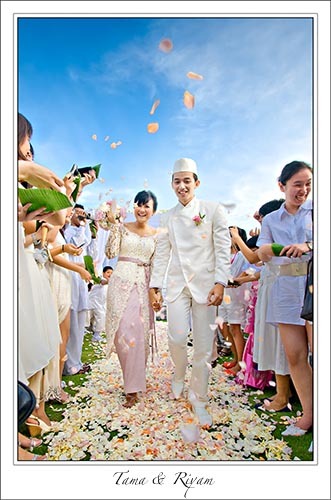 If you also would like to have such a marvelous Bali villa wedding please get in touch with me and I shall put you in touch with a professional organizer who can plan, organize and coordinate your wedding. Hello, i am very interested in knowing the details of where tama and Riyam wedding was held and who the event organisers was. hi, i have the same interest with Chantal to knowing this wedding was held and organisers. would thank you very much if you could help me with details. Thanks for getting in touch. I have sent you an email in private answering your questions. 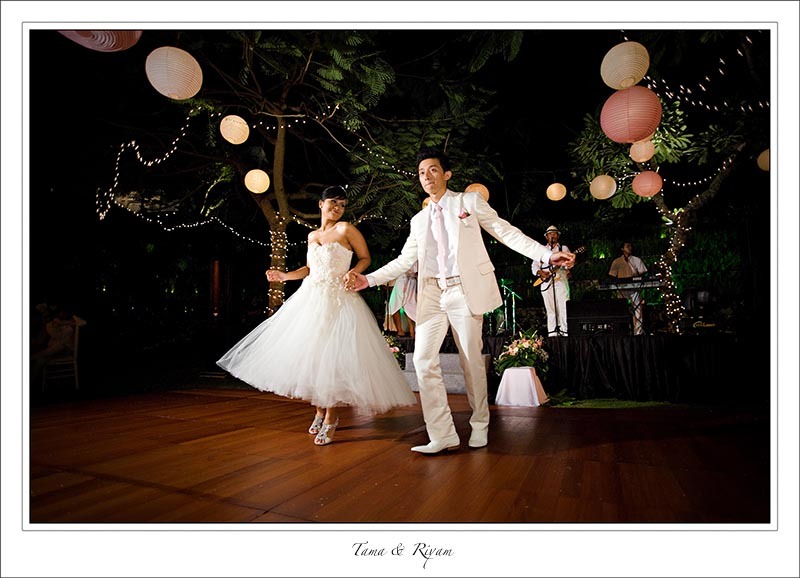 Hi there – LOVE the photos form the TAMA and RIYAM villa wedding. I would like to know which villa this was in and if you have a recommendation for a wedding planner. I would also like to know your standard fees for photography for the day. i love your work. Thanks for visiting our blog. I will be in touch with you shortly via email. Hi, beautiful photos! I would love to know the name of this villa? Thank you so much for being in touch. 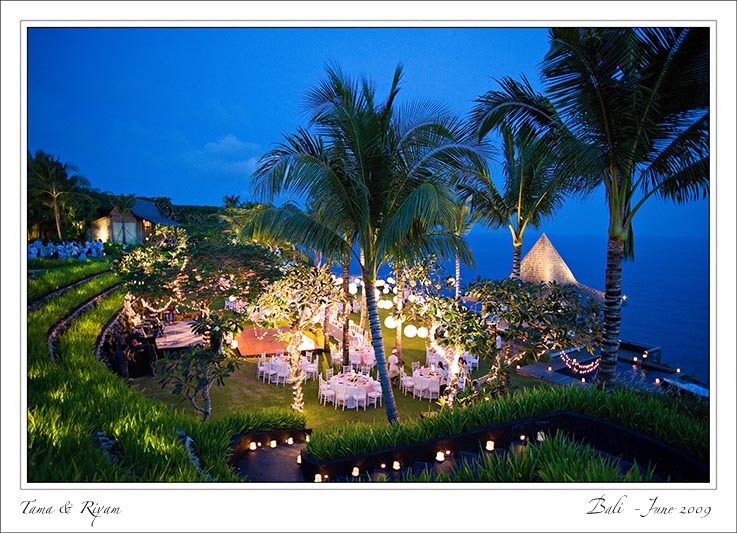 For informations about wedding venues in Bali and much more please head over to the BALI WEDDING BLOG . This wedding venue is beautiful and exactly where I imagined my Bali wedding would be like. Could you tell me the name and location of the villa. 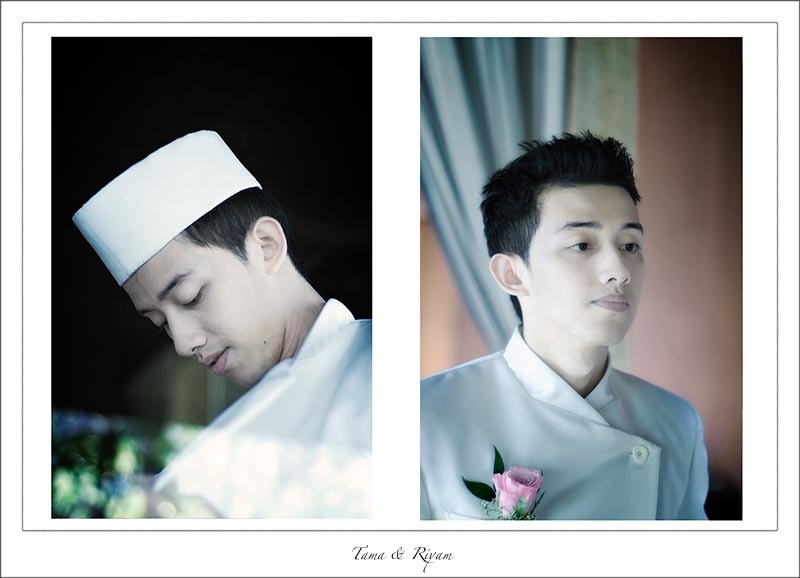 hello,can u let me know who i can contact for the muslim bali wedding! loving the pics! Can you please send me the details of the wedding planner as well as the details of the venue? can i know where the wedding was held and the wedding organizer for this wedding? 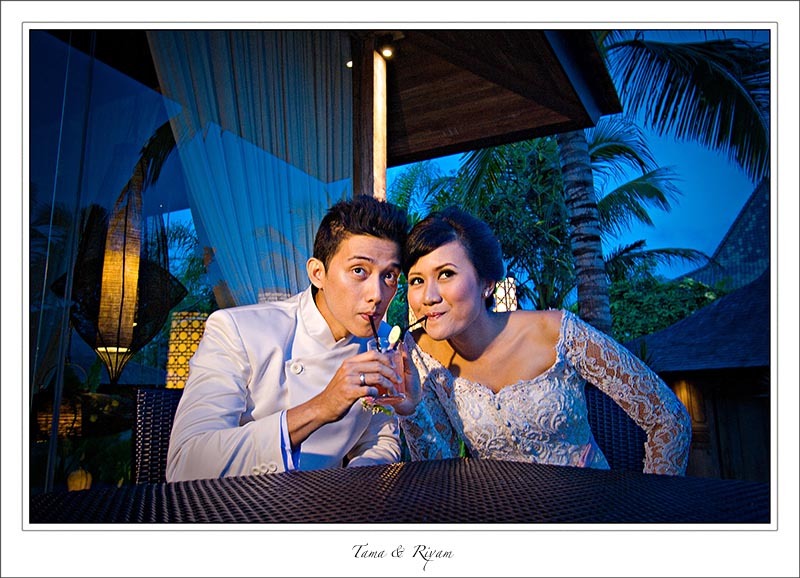 hi..i’m getting married next june in Bali and looking for beautiful beach villa that’s big enough for 300 guests. Can you please assist me? 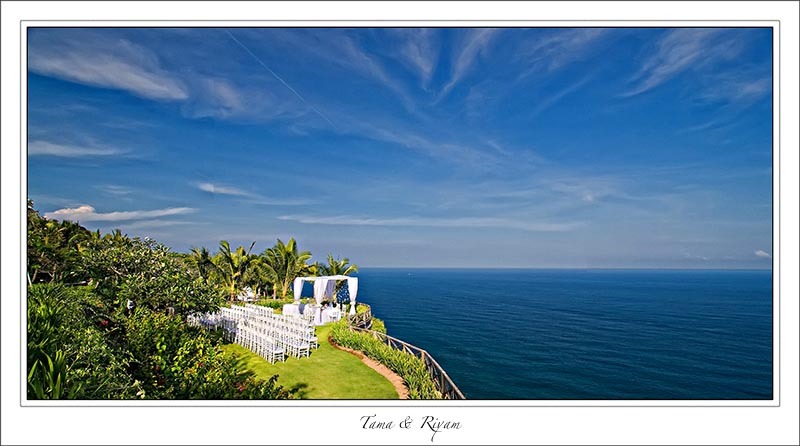 please may you get in touch with me regarding the location/villa where this wedding was held. Its exactly what I am looking for in respect to location, décor, photographer, and would love further information. Esspecialy the name/location of the Villa. Thx. for your inquiry. 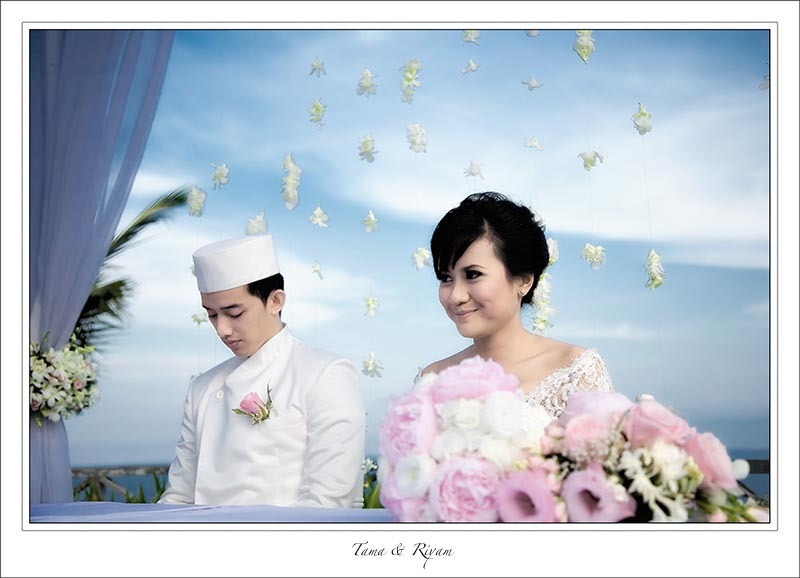 We have already send you our wedding photography packages. There you will find all the relevant info and if you contact them they can help you also to arrange your wedding in the same venue. Amazing pictures! I would love to know who was the wedding organiser as I am also planning to do a muslim wedding in Bali. I’m planning to get married in Bali and this villa is perfect. May I know the location and any wedding planners you have? 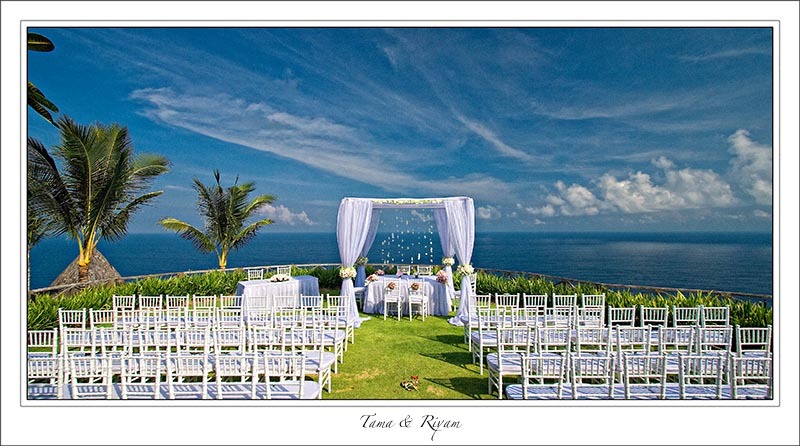 Fr infos about this villa or any other locations you should contact a wedding planner. 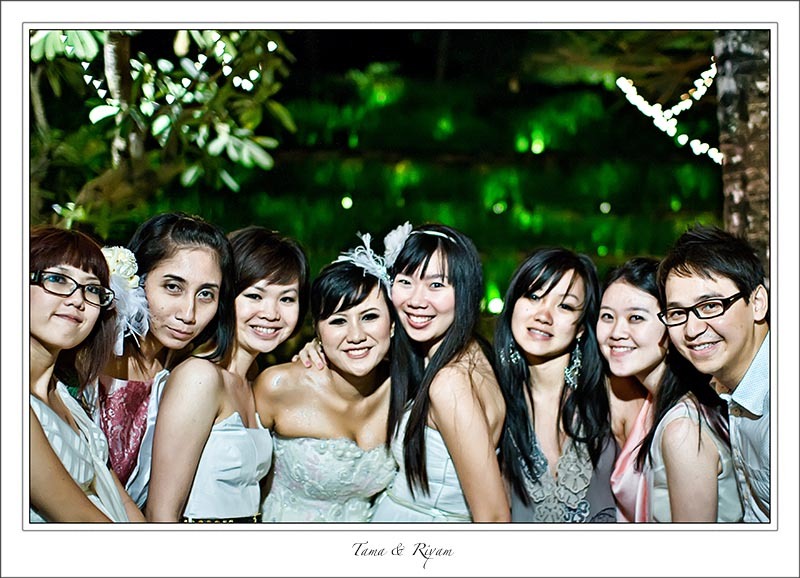 I recommend EASY BALI WEDDINGS . Hi, saya berencana menikah secara islam di Bali tahun depan,bisa minta tolong pricelist nya untuk kapasitas max 50 tamu undangan tolong kirim ke email saya ya ?sekalian keterangan/detail nya(including apa saja) Terima kasih. Makasih ! Dominik akan segera hubungi Angeline lwt email. Hiii…. 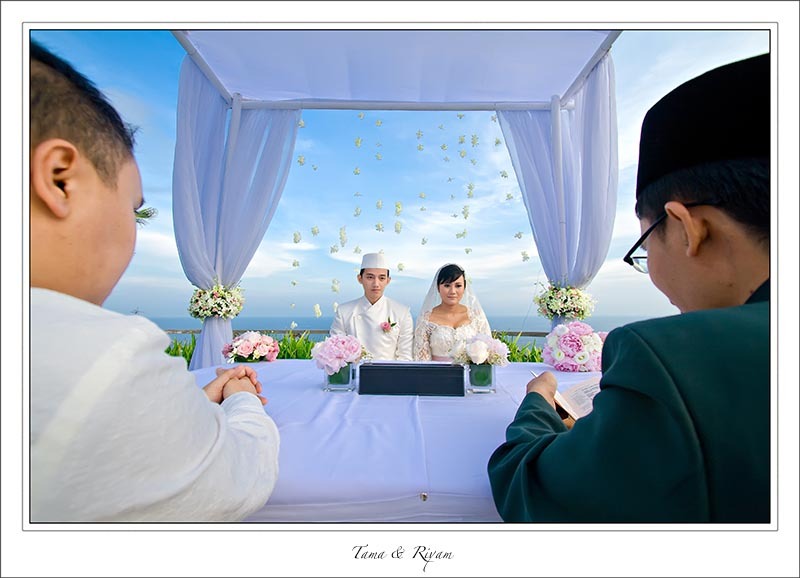 Boleh minta harga/price wedding photographnya. Thx Before Dominik.